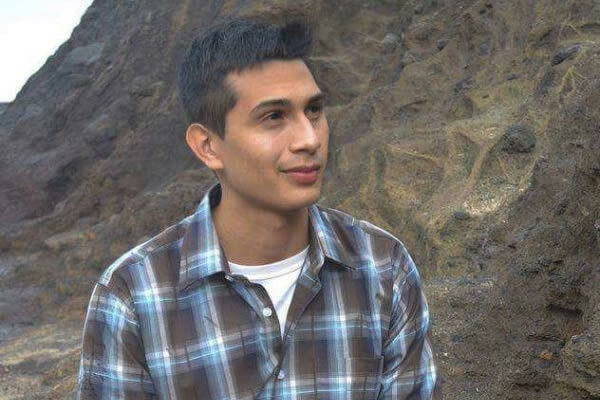 Though the circumstances are considerably more dire, the incredulous Salazar family believes the Amtrak chief of police want them to make a similar leap of reason about their beloved 22-year old gay son Aaron, a passenger on the Amtrak Zephyr, who was found beaten and broken by the railroad tracks near downtown Truckee, Calif., on May 15. Amtrak insists Salazar was suicidal. Everyone who knew him insists he was full of life. Not so, say Salazar’s friends and family. “Someone who is suicidal does not constantly talk about their future. Aaron had big plans to graduate from Portland State with his degree in economics and continue his education through graduate school in Denver,” Morgan Patterson, a friend of his from Portland State University, told the Los Angeles Blade. “He wanted to be able to make decisions and change the world. Despite the national interest prompted by revelations that Amtrak has responded poorly over the years to other families of missing or mysteriously dead passengers, Salazar’s parents remained silent—until Trugman’s press conference. Frustrated, Douglas Putnam filed a Freedom Of Information Act request with Amtrak in October 2016 and while several sections were redacted, he did discover that their son’s wallet ended up at the Amtrak System Lost and Found at the end of the route in Chicago nearly a week after Putnam had gone missing. The joint Los Angeles Blade/ThisIsReno investigation discovered that issues with Amtrak’s veracity could be much deeper than these two incidents. Speaking on condition of anonymity, a senior FBI official with a working knowledge of Amtrak police operations, procedures, and policies noted to the Blade that Amtrak police have long had a reputation for being difficult and less than transparent with families regarding incidents with their loved ones. The source noted that he is not directly connected to the Salazar matter. “We often face hostile passengers. Often times they are not removed for fear of being reprimanded by management. A dining car LSA [Lead Service Attendant] was punched. Did security measures change? No. A conductor was shot because he would not let a passenger off to smoke at a stop that was not a smoking stop. Did security measures change? No. A conductor was stabbed in the head. Did security measures change? No,” the Amtrak employee said. On May 25, Oregon’s congressional delegation sent a pointed letter to Amtrak CEO Richard Anderson requesting a thorough investigation into the mysterious injuries sustained by passenger Aaron Salazar in Truckee. The letter was signed by Reps. Earl Blumenauer, Peter DeFazio, Kurt Schrader, Suzanne Bonamici, and Sens. Ron Wyden and Jeff Merkley. Reno Mayor Hillary Schieve expressed dismay at the ThisisReno report that found a number of similar, unexplained incidents of injury and death of Amtrak passengers. The Salazar family has set up a GoFundMe account, Justice for Aaron, to help defray medical and legal costs. This story is the result of a joint investigation by Bob Conrad of ThisIsReno, and Christopher Kane and Karen Ocamb and staff at the Los Angeles Blade.